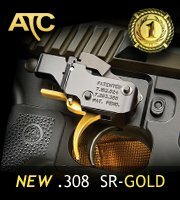 It appears that Vortex Optics now has Eotech in their sights with the announcement of the AMG UH-1 Holographic Sight. 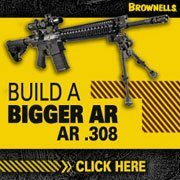 The timing could not be better given Eotech’s latest troubles with the admission of cold weather distortion, reticle fade, thermal drift and parallax issues. 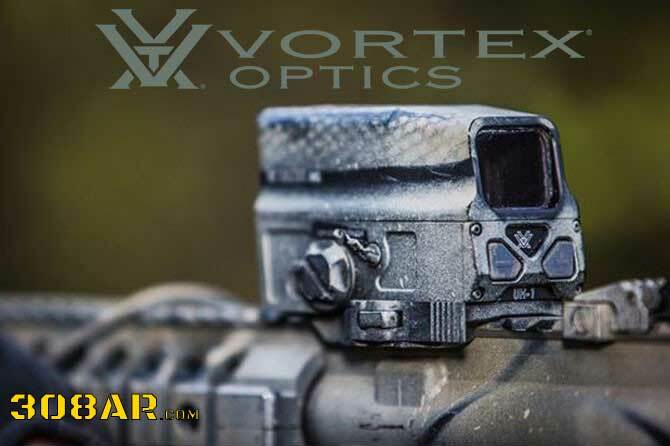 Introducing the Vortex Optics RAZOR AMG UH-1 Holographic Sight. The RAZOR AMG UH-1 Holographic Sight affectionately known in-house as “Huey.” The UH-1 is a completely new force in weapon mounted holographic technology, and you’re one of the first shooters to see it! Inside the durable aluminum chassis the UH-1 features fewer moving parts compared to traditional holographic sights. This equates to maximum durability. The holographic sight is powered with the included CR123A battery. the weapon sight also has the option of running LFP CR123A batteries. LFP CR123A batteries can be recharged using the on-board, waterproof micro-USB port. 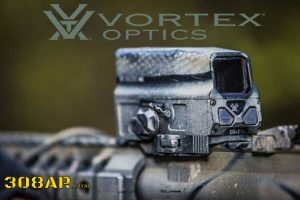 We believe the shooter is the only one who should see the new Vortex EBR-CQB reticle so we engineered the entire system to virtually eliminate all traces of forward signature, unlike any other red dot or holographic sight on the market.